The first animated films in eastern Asia were the British-made Colonel Heeza Liar series of short films imported into Japan beginning in 1914 where they proved to be quite popular. While in 1914, only 6 cartoons were imported, by the following year, that number had increased to 22. It was just shortly thereafter, in 1917, that the first Japanese animated film appeared called Imokawa Ryozo: Genkan-ban No Maka, directed by Hekoten Shinokawa. Also, that same year several other Japanese animated films were created and released in theaters such as Junichi Kouchi’s Hanahekonai Meitou No Maki (The Fine Sword) and Seitaro Kitayama’s Sarukani Garen (The Apes Vs. The Crabs). By 1921, Japan had already developed a studio solely devoted to the production of animation and in 1932, Kenzo Masaoke made Japan’s first talking animated film, Chikara To Onna No Ya No Naka. It was a great accomplishment, coming just four years after America’s first talking animation, Steamboat Willy. However, it is much more difficult to pin down the point in which animation appeared in Korea. 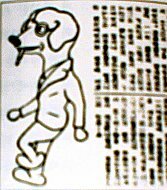 It is known that cartoons were making their way into the country from an editorial written by Choi Yeong-su that appeared in a June 1933 edition of the Shin Dong-A News in which he complained about the unoriginality and repetitive, simplistic actions of the characters. That animation was being imported into Korea is hardly surprising however as a considerable number of movies were already being introduced into the nation. Director Yu Hyeon-mok, in his book The History Of The Development Of Film, reported that the importation of talking pictures began in earnest in the early 1930’s as the number of movie theaters dramatically increased. Among the films released at the time that stood out were Lewis Milestone’s All Quiet On The Western Front (1931), Rouban Mamoulian’s City Streets (1931), and Mervyn Le Roy’s I Am A Fugitive From A Chain Gang (1932). The works of French director Rene Clair, such as Under The Roofs Of Paris (1930) and Liberty For Us (1931), were also imported into Korea as were the films of Japanese directors such as Yasujiro Ozu’s Tokyo No Gassho (1931) and Mansaku Itami’s Kokushi Muso (1932). As was the style of the times, short animation and news clips were usually run before the feature film was screened so Koreans were exposed to quite a few animated films and various styles, among which were the early works of Walt Disney. By all accounts, these generated a great deal of interest and so some excitement was sparked when on November 25, 1936, an article appeared in the Chosun Ilbo that proclaimed the making of Korea’s first animated film. The title of the film, Gaeggum, is literally Dog Dreams in English and the article was accompanied by an image of one of the lead characters, an anthropomorphic dog (pictured left). The idea of using a human-like dog may have been inspired by Disney’s use of animals as the main characters in the majority of their short films. The same newspaper later reported that about 400 feet (134 meters) of film had been completed. 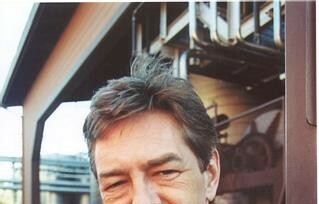 Unfortunately, there are no further reports on the project and in all probability, it was never completed. There are many reasons why the project may have been abandoned. It could have been that the self-taught, inexperienced animators had simply reached the limits of their technical skill and could go no further in the production. It is also possible that many filming projects were announced but later suspended because of lack of funds–a condition that often occurs even today in the film industry. Of course, because of the lack of evidence one way or another, the idea that the movie was completed and released cannot be entirely ruled out. But if that were the case, it would appear that audiences and film-makers alike have completely forgotten about it as there are no written records or word-of-mouth stories indicating it was ever screened. While it is true that information may have been recorded and subsequently lost, there is a much higher likelihood that the project was canceled. However, whether or not Dog Dreams was ever completed and released is simply a matter of trivia as it does not hold an important place in Korean animation history, nor does it have any connection with productions to come. It merely proves that the animation industry showed early signs of life in Korea–as early as the mid-1930’s–but it would be another three decades before it truly got off the ground. There was one more reported early attempt at starting the production of cartoon movies immediately following liberation from Japan. A man named Kim Yong-hwan, who had studied animation techniques in Japan and had worked on such propaganda cartoons as Mitsuyo Seo’s notorious Momtaro Umi No Shinpei (Momotaro: Holy Soldier Of The Sea) for the Japanese navy, returned to Korea. He proceeded to establish the Kim Yong-Hwan Cartoon Movie Production Company upon settling in Seoul. However, his company was doomed to failure in part because of the shortage of celluloid and other materials he needed following the war. The other insurmountable problem he faced was a lack of interest and understanding of animation on the part of would-be investors. His company was forced to close without ever having produced a film. During most of the 1950’s, there was little sign of any activity towards the making of a domestic animated film. Instead, this era was dominated by the import of foreign animation, most notably Disney films. There was a high success rate among foreign releases especially in the latter half of the 1950’s. However, the future Korean animators were not idle at this time for it was here that they were learning the techniques and skills that would enable them to create their first short features. As stated above, the importation of foreign cartoons into Korea was lead by Disney. On June 13, 1957, Disney’s 1953 production of Peter Pan opened in theaters in Seoul. The advertising industry was caught up in the excitement of the release and posters invited movie-goers to go to “the island of dreams with Peter Pan, the boy who never grows up” and they promised an unforgettable viewing experience for the entire family. The price of admission was just 40 hwan and half price for children. Peter Pan proved to be so popular that it has had a long list of re-releases. In July 1965, a dozen years after its original release, Peter Pan opened again in the Metro Theaters. Just five years later, on July 30, 1970, it had an even larger release, not only in Seoul, but also in Incheon, Busan and outlying areas. 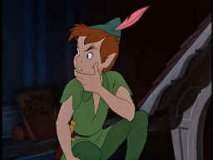 The most recent re-release for Peter Pan was in January 1993. From August 23, 1966 to the 26th, the 1959 animated feature Shonen Sarutobi Sasuke, better known to Western audiences as Magic Boy was screened in both Seoul and Incheon. This film, under the joint direction of Akira Daikuhara and Taiji Yabushira, was the first Japanese animation to be filmed in Cinemascope. Its Japanese origins were disguised in Korea by screening the English dubbed version of the film. This was not an unusual practice. For example, the late 1980’s anime, Akira, was renamed and passed off as a Hong Kong film in the hopes of attracting audiences when it played in Korea. But while this period from the 50’s through much of the 60’s was characterized by the importation of foreign animation, it also marked the point in which local animators, eager to create works of their own, began to produce animated commercials for television. 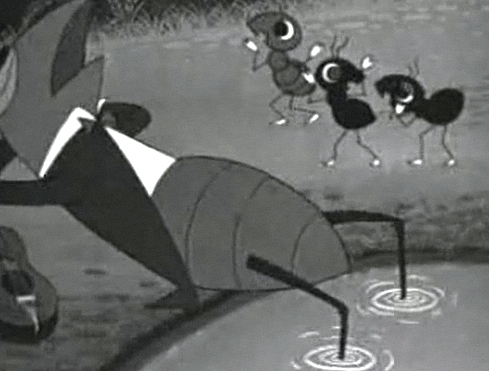 The earliest known Korean animation came in the form of a Lucky Toothpaste television advertisement (pictured left) which was aired in 1956 over HLKZ-TV (now KBS). The then current art director of HLKZ, Mun Dal-bu, produced it entirely on his own and, without any formal training, he managed to create the original art, animation, storyboard and perform the subsequent filming. The next animation was an advertisement for a digestive aid called Hwalmyeong-su. In the commercial, a man wearing a felt hat suddenly clutches his stomach in pain and staggers into a pharmacy where the druggist hands him a bottle marked with the brand’s logo. This simple commercial proved to be very successful and effective as Hwalmyeong-su proceeded to dominate the market for a long time after its release. Many consider the best of these early animated commercials to be director Shin Dong-heon’s advertisement for Jinro Soju (pictured right) which was released in theaters in March 1960 using a jingle that had been released earlier on the newly established MBC. The Jinro Soju ad was made in full-animation style imitating the method Disney studios utilized with 24 frames per second and it took advantage of the new pre-recording technique so the characters lip movements matched the words they were speaking. After this, all animated films made by Shin Dong-heon were made in full style. In an unusual move, this ad saw a re-release more than three decades later when in 1998 it was screened in 78 theaters nationwide prior to the feature presentation. Most commercials in the late 50’s and early 60’s were screened in movie theaters because television had not yet become a major factor in Korea, but in December 1961, KBS-TV started to broadcast them frequently and just two years later, in 1963, began producing them with the sole intent of releasing them on television. A large proportion of these ads were for pharmaceutical products and most viewers enjoyed them so much that the average length began to increase from a running time of one minute to one minute and twenty seconds. Besides Shin Dong-heon, other well-known animators debuted at that time including Lee Sang-ho and the man who would become the CEO of Akom Production Company, Nelson Shin (born Shin Neung-gyun). Nelson Shin became widely sought after for his lively animations and the quality of his work and his ads often ran as long as two minutes but would be broadcast uncut. 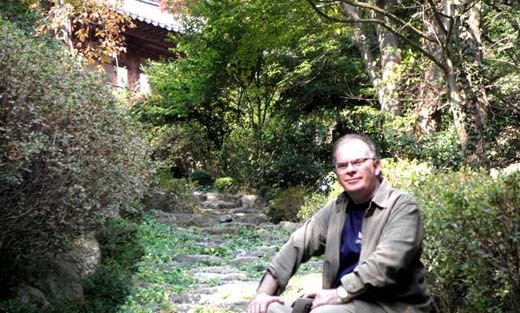 Nelson Shin remains active to this day, having recently produced and directed the 2005 animated movie, Empress Chung. One animator who would soon become an important figure in the history of Korean animation, Han Seong-hak gained a degree of notoriety when his advertisement for an antacid created a scandal. The reason for the uproar which had viewers angrily calling the station and protesting, was that Han had decided to use a Beethoven symphony as the background music in the ad. According to Nelson Shin’s 1998 book, Animation And I, companies received about 200,000 won for a one minute commercial but by the time production costs, man-power and other expenses were paid off, there was hardly anything remaining for profit. Also at that time, celluloid was quite expensive and not easy to come by. This forced the companies to invent ways of saving money and one way was to wash the used celluloid and dry it so it could be re-used for another film. Nelson Shin also went on record saying in an interview for Animatoon Magazine (n.16, 1998) that these early commercial films were merely a way to make a living and contributed nothing to the development of the animated movie industry. 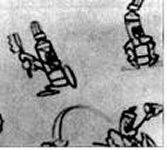 However, it would appear that this was indeed the starting point of animation as artists and cameramen learned the art and technical skills required for making a cartoon movie. It also is important that nearly everyone involved with making animated films over the following few decades began by animating advertisements for television. In April 1961, Korean animation took the leap from advertising to storytelling when Han Seong-hak, Park Yeong-il and Jeong Do-bin teamed up to create a 35mm color cartoon called Gaemiwa Bejjangi aka The Grasshopper And The Ant . 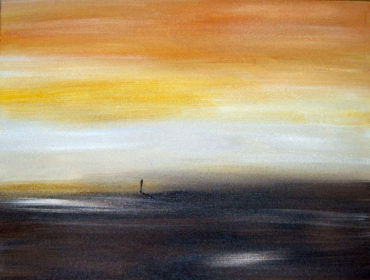 It was a five-minute long experimental picture based on the famous Aesop fable. Park Yeong-il, the section chief of Geukrim Movie Productions supplied a shoestring budget of just 80,000 won and director Jeong Do-bin assisted Han Seong-hak whenever he was able to get a leave of absence from his military service. However, the team didn’t have enough material to complete the project nor the funds to procure more. They were only able to draw about 240 cells. They would film these, which would generally result in less than 10 seconds of running time. Then they washed the cells off, allowed them to dry, and then drew the next 240 frames. Working in this way, they were able to complete the production in about 4 months. The year 1963 saw several other animated productions. Jeong Do-bin and Park Yeong-il teamed up again to produce a public service short called I Am Water and they brought to life Kim Yong-hwan’s comic strip character Kojubu in Catch That Rat. Nelson Shin also came out with a new animation that year–a short adaptation of the tragic folktale of a frog that never listened to his mother in Green Frog. 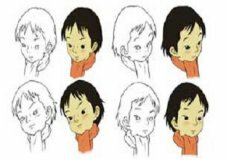 With the animation industry getting underway, it would only be a few years before Korean animators would produce their first full-length animated feature, Hong Gil-Dong, in 1967. Rice Market Liberalization: Economic Sense or Cultural Destruction?